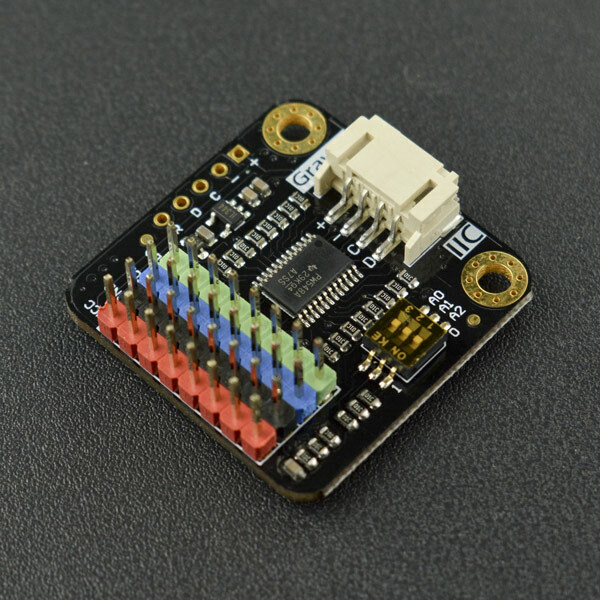 You just found the sensor you needed, and you want to wire up two or more to the I2C port of your mainboard, but later you realized that they have the fixed I2C address! That is, you can not use them on the same I2C port! Are you out of luck? Now don’t worry! 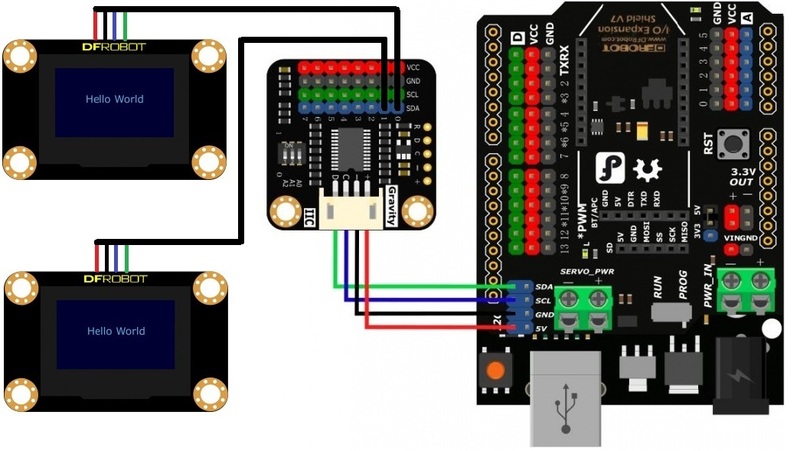 DFRobot Gravity: I2C Multiplexer can easily solve the address conflict on the same I2C port. This I2C multiplexer is easy to use, plug and plug and no need to weld. 1 multiplexer has 8 I2C ports, this means you can hook up 8 same-address devices at the same I2C port by 1 multiplexer. The default I2C address of the multiplexer is 0x70, and you can adjust from 0x70 to 0x77. In theory, you could hook up 8 multiplexers on address 0x70~0x77, to control 64 same-address devices. So powerful! Dial Switch Description: As shown in the picture above, the dial switchs are all turned to the right(marked with '0') by default, at this time, A2,A1,A0 are all low level, so the default address of the multiplexer is 0x70. If the dial switchs are all turned to the left(marked with ‘1’), then A2,A1,A0 are all high level, and the address is 0x77. You can adjust the dial switchs as needed to set the address. You can set it from 0x70 to 0x77. 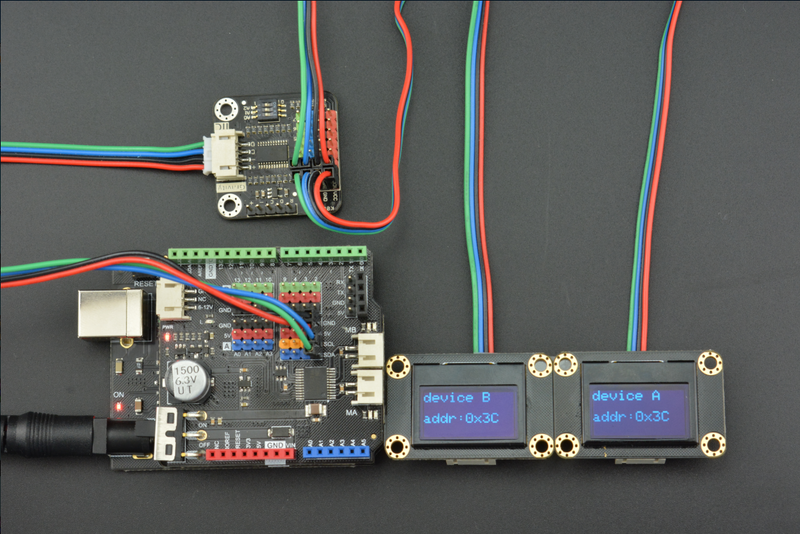 This tutorial uses two OLED displays as an example to demonstrate how to use this I2C multiplexer. The OLED display used in this example has the fixed I2C address, so these two OLED displays cannot be directly hooked up to the same I2C port. However, through this I2C multiplexer's transfer, these two OLED displays can be normally used on the same I2C port at the same time. * Connect the 2 SSD1306 devices to the port 0 and  port 1 on the i2cmultiplexer respectively and then connect the I2cmultiplexer and Arduino, download this sample. As shown in the picture below, although these two OLED displays have the same I2C addresses, they work normally after this I2C multiplexer's transfer. Through the above example, we have already understood how to use this I2C multiplexer's hardware and software library. Now we summarize further, and get the following software framework. This will help you better understand the software library and apply it to your project. 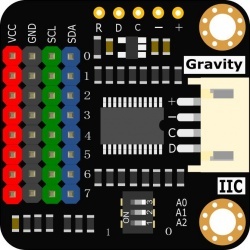 Get Gravity: Digital 1-to-8 I2C Multiplexer from DFRobot Store or DFRobot Distributor.